A report highlighting the difficulties faced by people with mental health conditions accessing social security support has been welcomed as “crucially important” by the Scottish Greens. Money and Mental Health’s The Benefits Assault Course surveyed hundreds of people experiencing mental health conditions who have applied for and receive disability benefits, including the Personal Independence Payment (PIP) that the Scottish Government will replace from 2021. 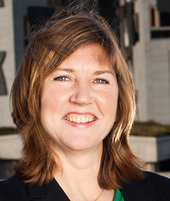 Alison Johnstone MSP, Scottish Greens social security spokesperson, said: “As Scotland begins to design its own new disability payments, the findings of The Benefits Assault Course report is crucially important. “That over 90% of participants in the survey conducted for the report said their mental health deteriorated in anticipation of a face-to-face assessment for a social security payment shows how vitally important it is that the Scottish system is required to significantly reduce the number of such assessments. Greens are proud that this requirement comes from a Green amendment to the legislation establishing the new system.